1st Place! Art by Ashley Moore. Wow! You guys really came out of hiding and revealed some awesome work for our HIDDEN contest! Thanks to all who took part! 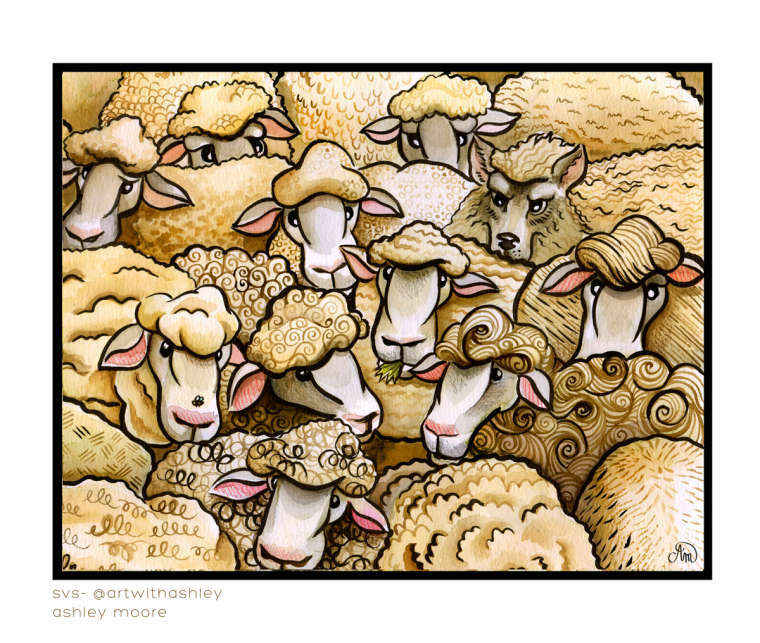 With that, congrats to Ashley Moore, who took first place with her wolf in sheep's clothing! Per Lee White, who judged the contest: "Ashley knocked it out of the park with this one. The composition technique of establishing a pattern and then breaking it is a very strong tool to design with and this showcases that. It hits the 'hidden' subject matter perfectly too! Then the technique is very consistent with stylized patterns and lovely calligraphic outlines. Great work Ashley!" 2nd place! Illustration by Nyrryl Cadiz. 2nd place went to Nyrryl Cadiz, for her endearing campfire scene. Here's Lee again: "Heartwarming image here by Nyrryl. Soft lighting and a great color balance are what drew me to this one. It looks like there is so much story here and it makes me want to know what happens next." 3rd Place! 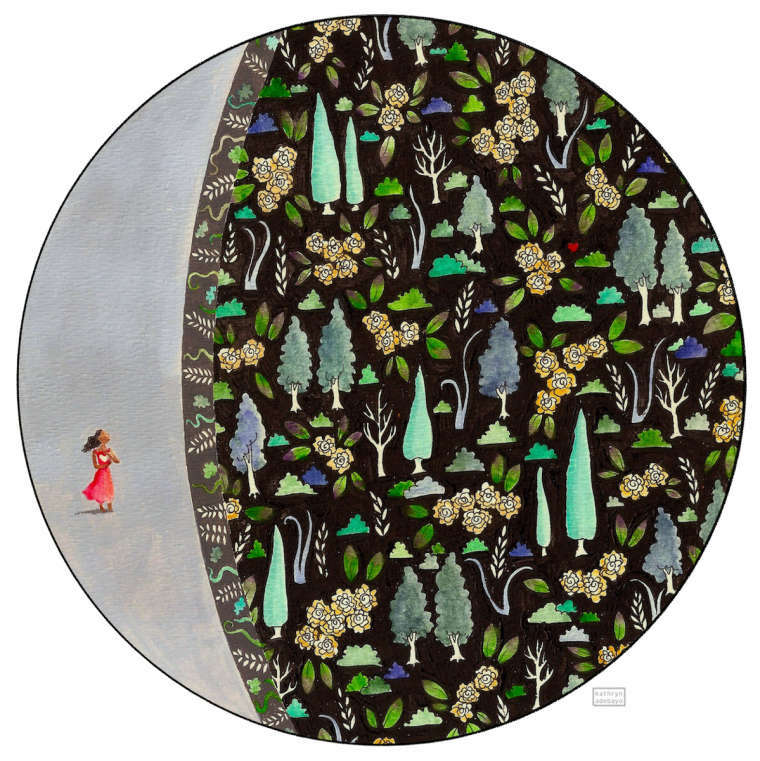 Illustration by Holley Williamson. Holley Williamson took 3rd place with her creepy rendition of Hansel and Gretel. "The stylization here and overall concept are working so well for this image. Holly created some great characters and then added that sneaky witch into the trees which is a great visual solution to 'hidden.'" Lee also ended up picking 6 more illustrations as honorable mentions ðŸ˜€ðŸ�†ðŸ’• Check 'em out (with his comments) below! "I love the energy. The 'hidden' theme on this one is subtle and took me a second to figure out (which makes an image very interesting to me!). Having all the people on greenish floats and then the real monster back there is very smart!" "I could look at this one for days! It's so beautifully drawn and the design is so sensitive. I am terrified for those mice! Owls be cray-cray and they are really fierce!" "Very cool image and works well as an illustration. I really enjoy seeing solutions that highlight design in an interesting way. The little heart in the woods is a lovely payoff for the search. "One of my favorite themes in books and movies is when someone good is forced to do something bad (which is essentially the theme behind Breaking Bad). The other option there is when someone bad is forced to do something good. If you are writing your own stories, either of these is a great place to start. This image is so cool and Little Red looks very confident in her abilities. "This intriguing underwater scene is so cool. I looked at it for a long time and liked it more and more as I made up stories about what is happening. The book spilling out into real life is a great concept and Rachel did a great job with it." "Please send this to Nickelodean or some other animation studio so they will animate it!!!! Wonderful palette to up the suspense and mood!" To see ALL the entries, check out the slideshow compiled by Chip Valecek (thanks Chip!!). Thanks again everyone who participated! Great job!